There’s nothing more energizing and beautiful than spring – so it’s perfectly understandable why you want to have a wedding that’s infused with this marvelous season. How do you bring it into your Big Day, though? How do you plan a spring wedding that exuberates joy and beauty, just like the season outside? Get your food on seasonal notes. There are so many amazing spring ingredients you can incorporate in your spring menu that it would be a real pity not to do it, really! From the spring veggies to edible flowers you can use for the cake and even for the cocktails, you can take advantage of the season outside to make your food look better, taste better, and simply be better in every respect. The location can make all the difference. Here at Bluff Mountain Inn, we truly take pride in our springs! The stunning mountain setting comes to life to create the picture-perfect backdrop for spring weddings: full of life, beauty, gentleness, and joy. What more could you want from your spring wedding location? Don’t be afraid to bring spring indoors too. There are so many amazing ways to coordinate the indoors with the outdoors! Flowers are one way to do it, together with greenery. But if you want to go all the way, don’t be afraid to use a floral-patterned design for your table linens and/or a spring-infused design for your day-of stationery. It can make such a huge difference in terms of the vibes created at your wedding! Don’t forget about Plan B. 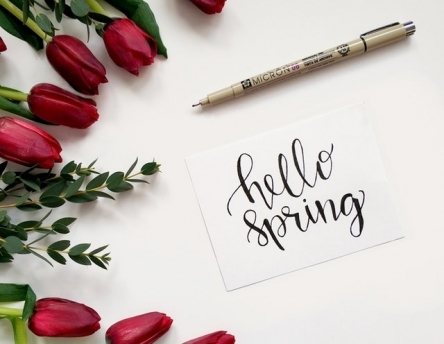 Spring is a wonderful season that can fill your heart with joy – but it can also be an unpredictable season, especially in terms of weather. DO make sure to plan for a rainy day too. You cannot control weather, but you can control what you do in case it rains – and an outdoor tend or an indoor alternative are both great ideas on how you can manage this kind of unexpected situation. Still looking for the most stunning wedding venue in Knoxville? Contact Bluff Mountain Inn and allow us to be the ones who help you host the most amazing wedding ever. Contact us and we guarantee both you and your guests will absolutely love it here!